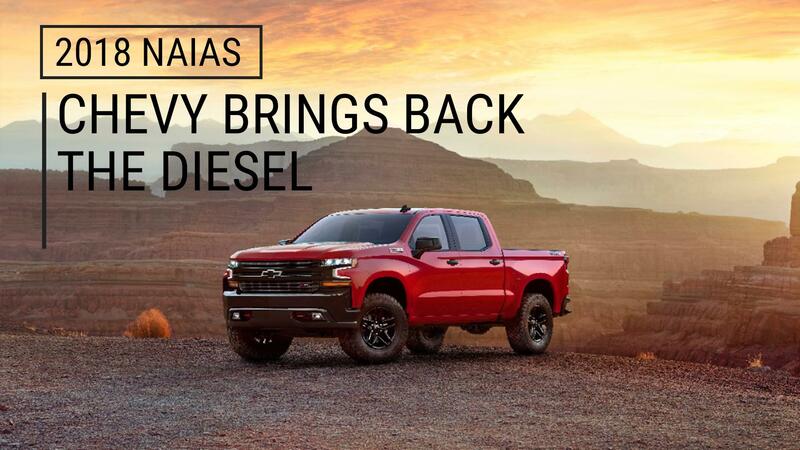 It's only March, and it's already been one hell of a year for trucks. 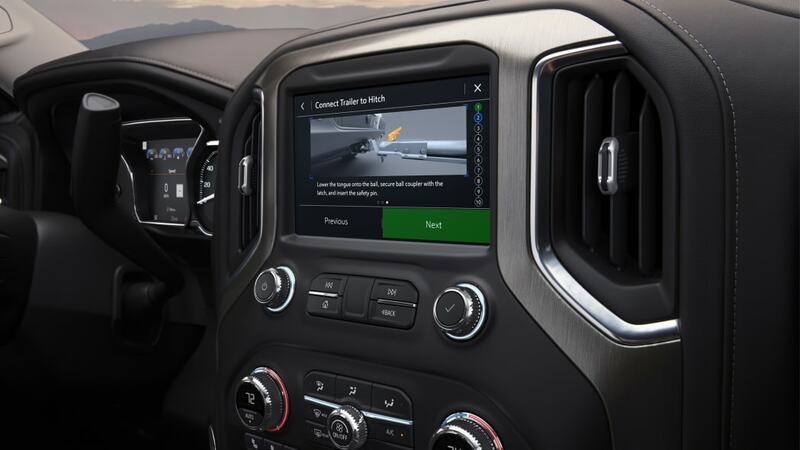 January's Detroit Auto Show saw the reveals of the 2019 Ram 1500, 2019 Ford Ranger and the 2019 Chevy Silverado. The Chicago Auto Show brought new versions of the Toyota Tacoma and Toyota Tundra TRD Pro. 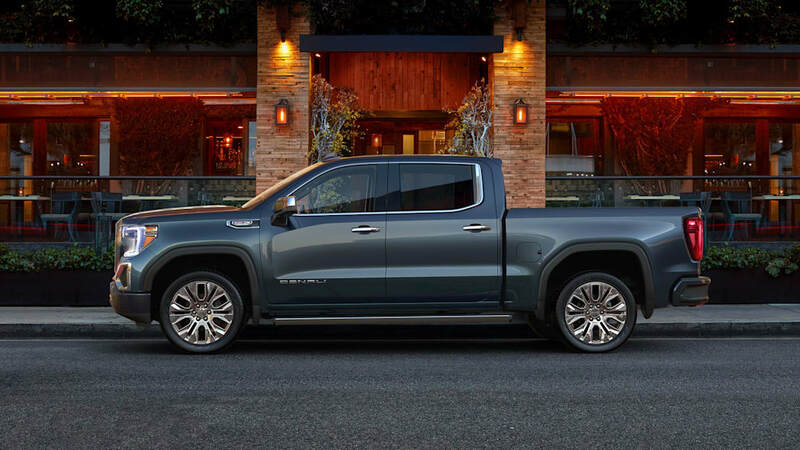 Today, we finally got our first look at the Silverado's twin, the 2019 GMC Sierra. 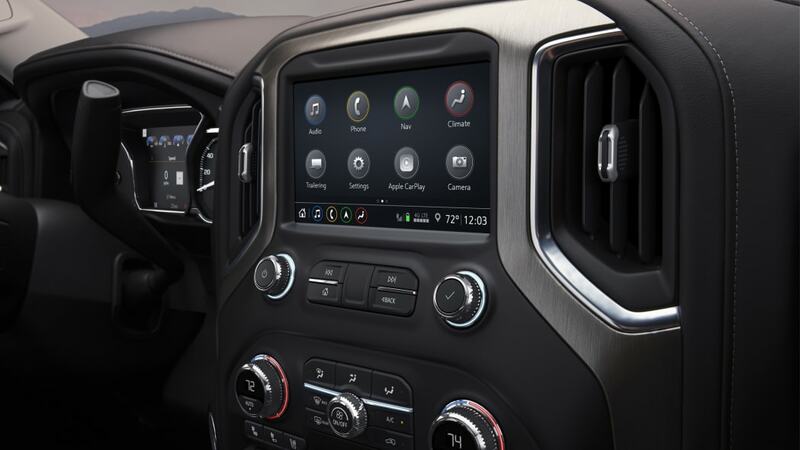 The truck features new styling, a new diesel engine and — on the Sierra Denali — a carbon fiber bed. 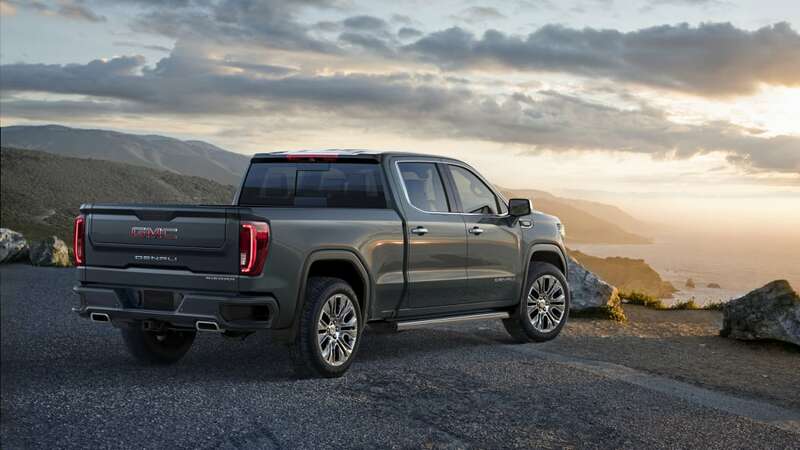 As with every new full-size truck, the Sierra is larger than the outgoing model in almost every dimension, though exact dimensions haven't been revealed. For reference, though, the Chevy Silverado's bed is 7-inches wider than before. 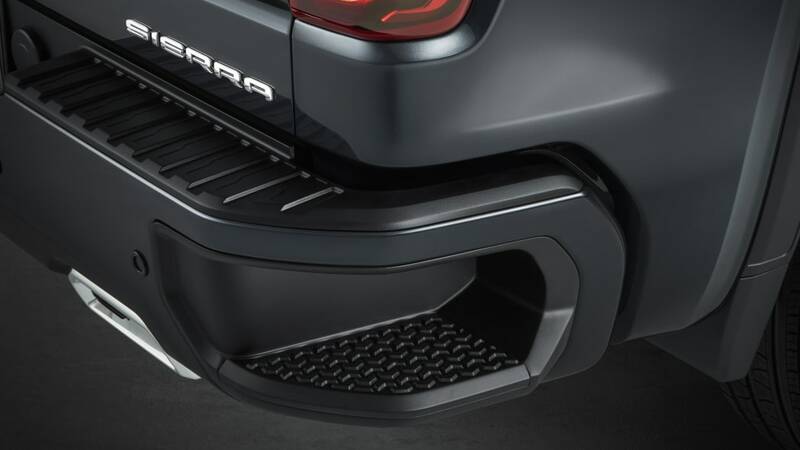 The new Sierra grille is more upright than before and features new C-shaped lighting. 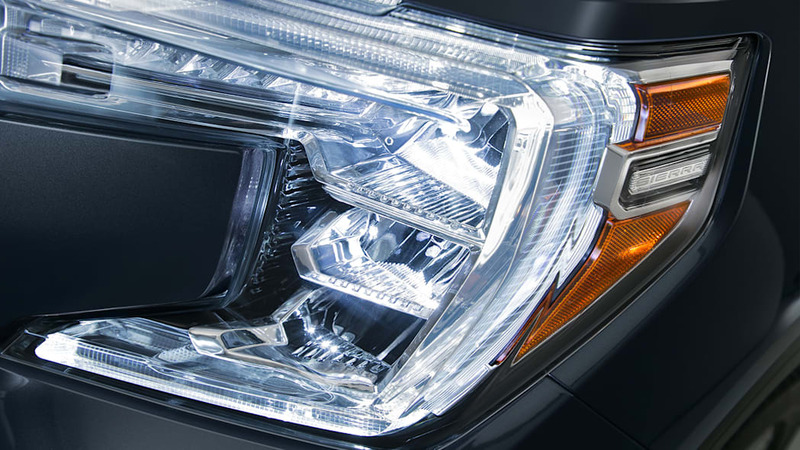 The Denali gets LED headlights, tail lights and fog lights. Both SLT and Denali trims get unique 22-inch wheels. 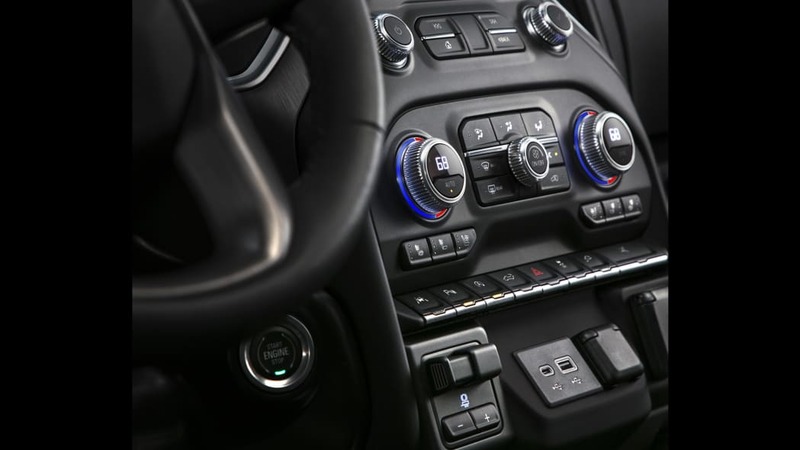 As we saw in spy photos, the Sierra's interior is mostly just a copy of the Silverado's with some chrome accents sprinkled throughout. 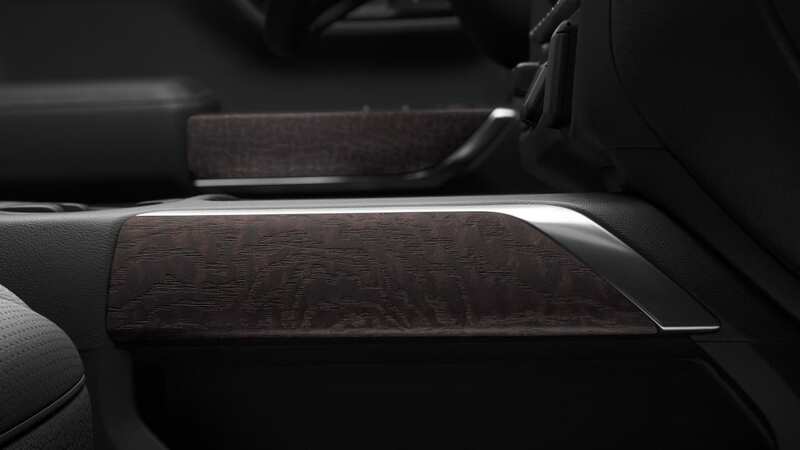 If you like the current truck interiors, you'll be pleased with the new model. Those hoping for a wholesale change will be left wanting. 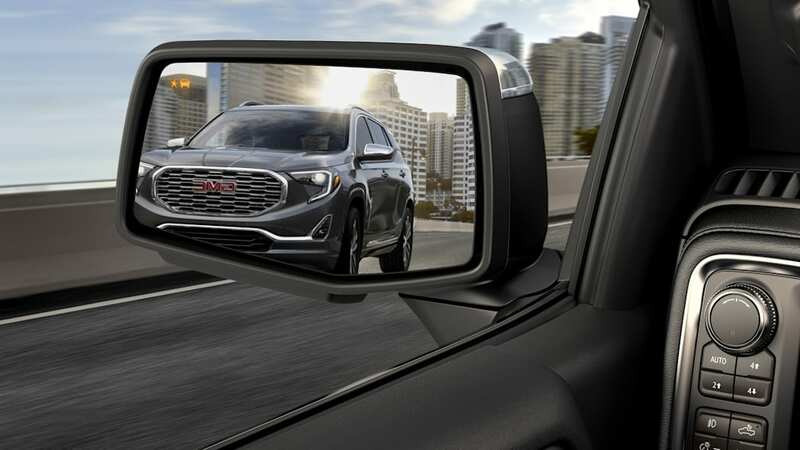 The big improvements inside include a full-color heads-up display, trailer hitch assist apps and cameras, and the rear-camera mirror found in models like the Chevy Traverse and Cadillac CT6. Safety and convenience features include a surround-view camera, blind-spot monitoring, pedestrian detection and low-speed automatic braking. Like the Silverado, there's been a significant effort to cut weight in the new Sierra. 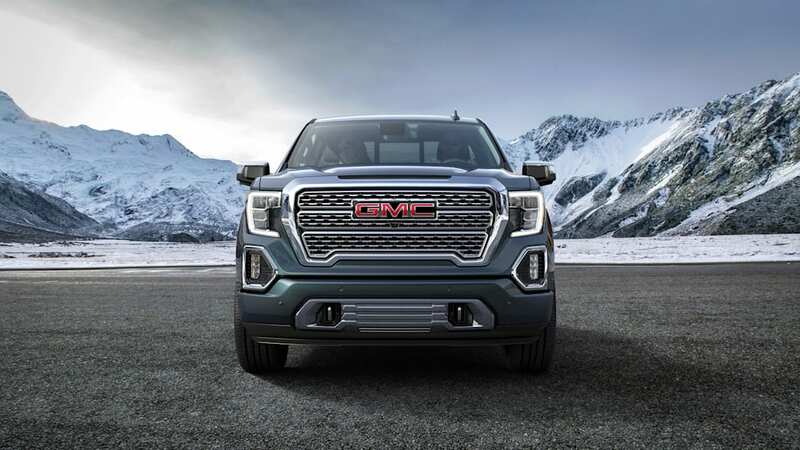 The 2019 model loses as much as 360 pounds compared to the current truck. It uses aluminum for the doors, hood and tailgate. Steel is still used for the fenders, roof and standard cargo box. 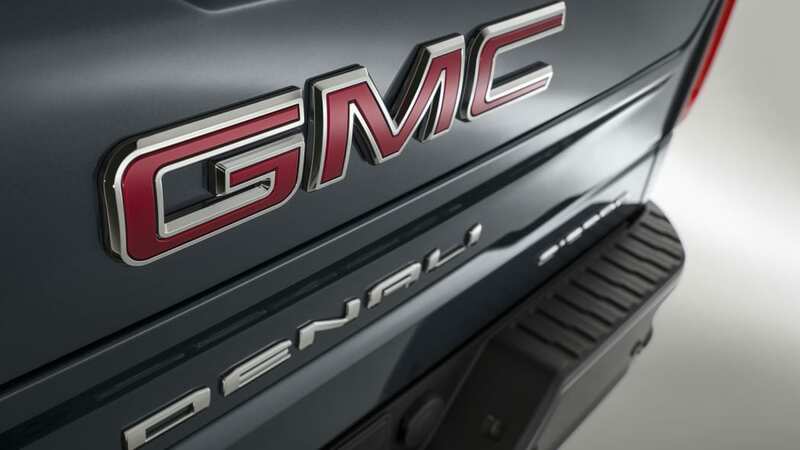 The Denali, however, gets the real surprise here. 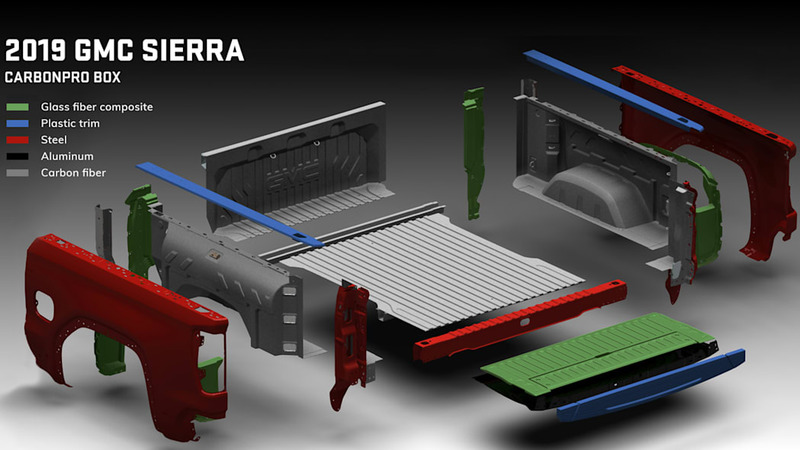 Available only on the top-tier trim, the bed box will be constructed of carbon fiber rather than steel, saving 62 pounds. Carbon fiber only replaces the steel inner panels and floor. 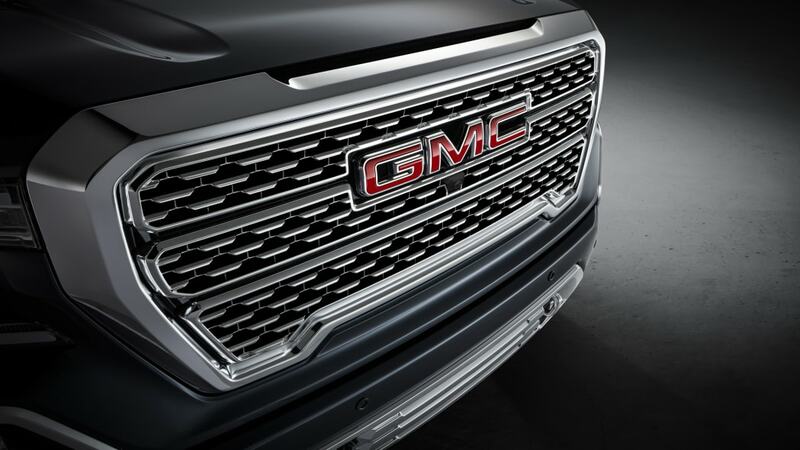 GMC says the carbon fiber will also help scratch and corrosion resistance. 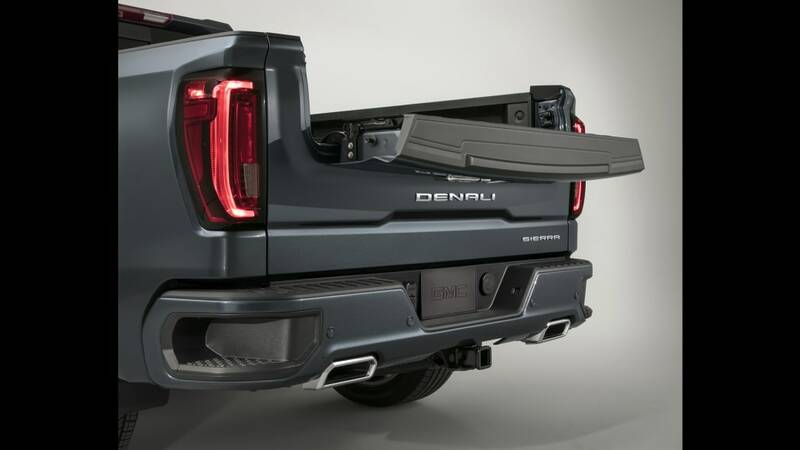 SLT and Denali models also get a new MultiPro tailgate. 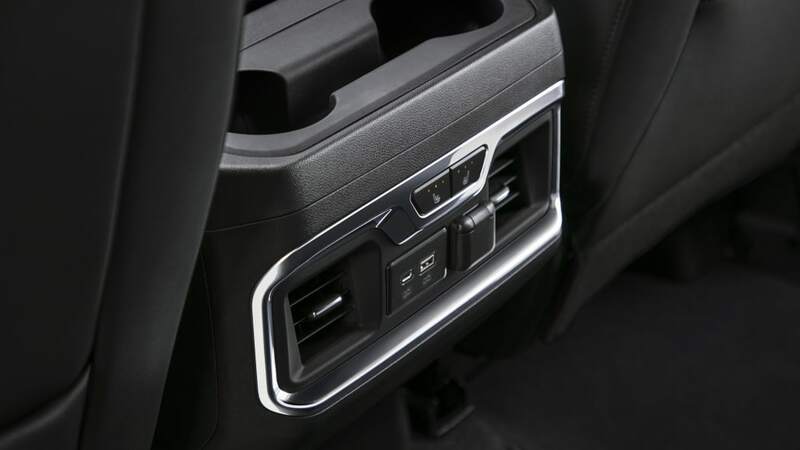 This is unique to the Sierra and separate from the Silverado's power assist unit. A new feature that helps one get into and out of the bed using an assist handle. 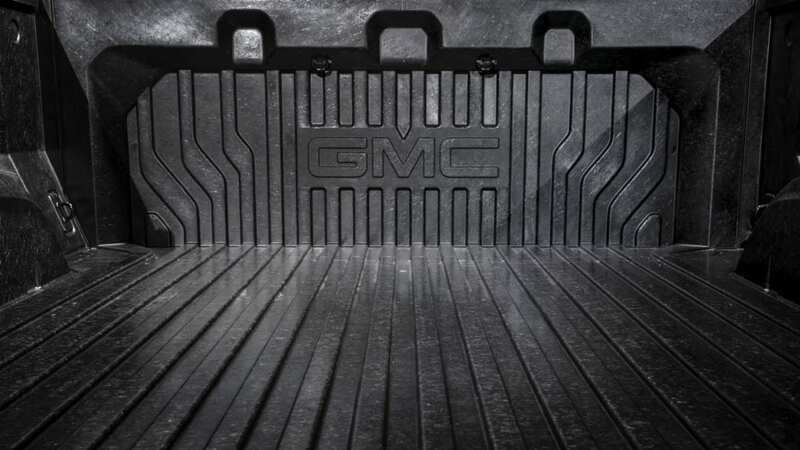 The tailgate step has a maximum weight capacity of 375 pounds. There multiple positions that allow customers to extend the bed, or drop the center vertically to gain easier access to the back. 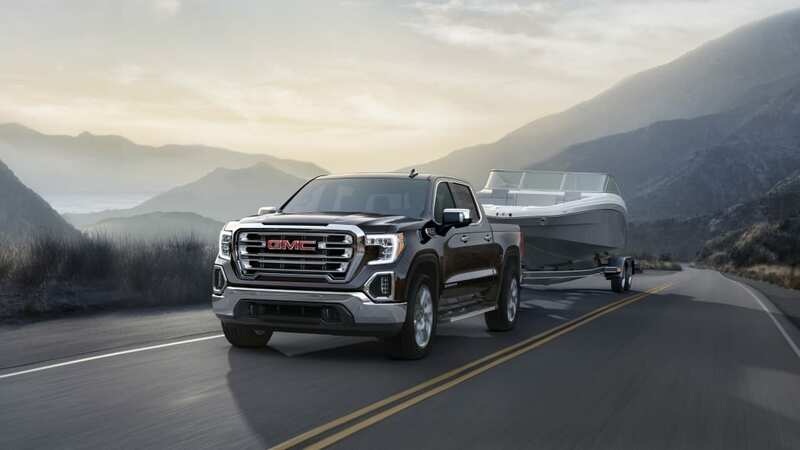 As with the Silverado, the 2019 Sierra gets three engines, two gasoline V8s and a new diesel inline-6. 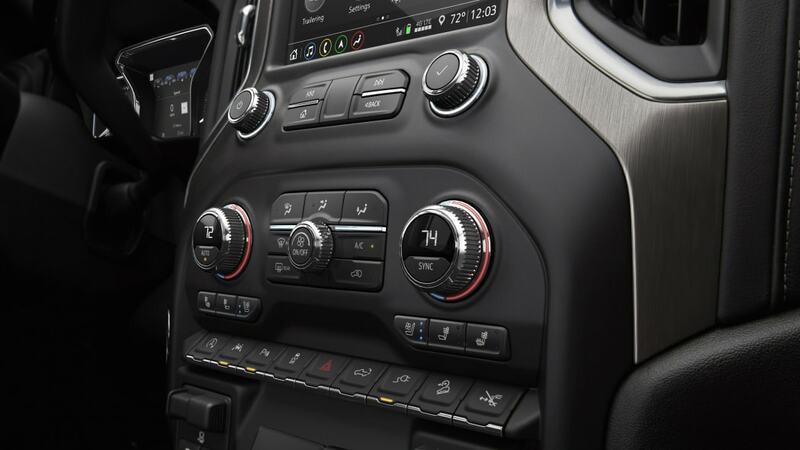 The 5.3-liter V8 and 6.2-liter V8 will carry over, though with new stop/start technology and cylinder-deactivation that allows the truck to run on just a single cylinder. Yes, just one cylinder. 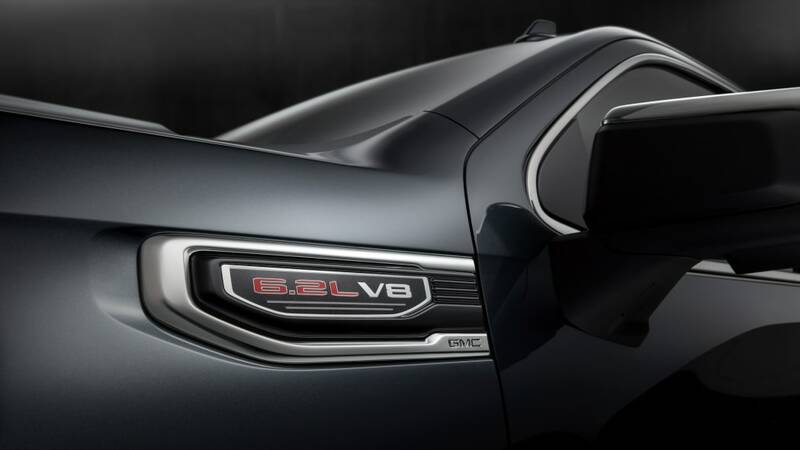 Details on the 3.0-liter diesel haven't been announced, but, like the 6.2-liter V8, it will be paired with a 10-speed automatic. 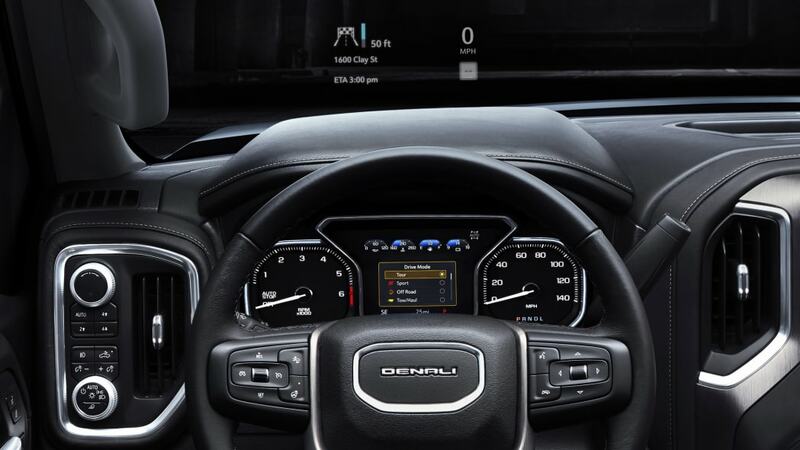 Denali models get a new "adaptive ride control," though what exactly that is (magnetic dampers?) was left out of the release. 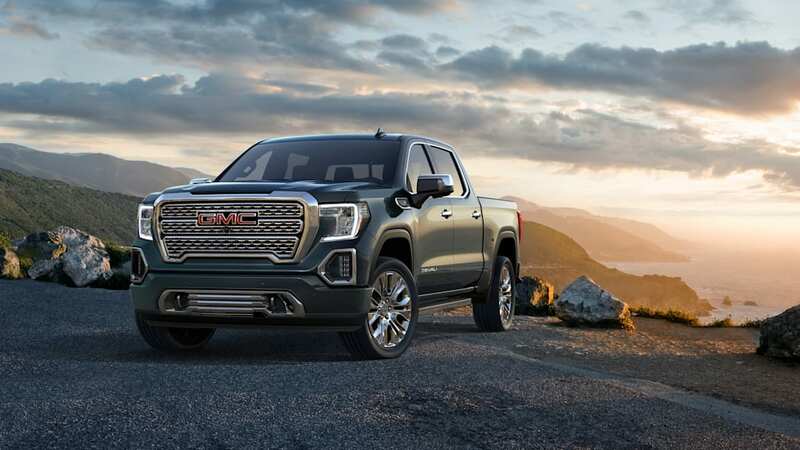 The new 2019 GMC Sierra will go on sale this fall, so expect more details on the dimensions, engines and pricing to trickle out over the summer.